Credit cards can come in various forms. 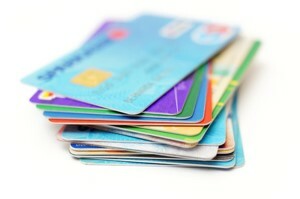 Each type of credit card has its set of pros and cons attached to it. All cards are also not available for everyone, and only a certain target group can have access to some of them. Read on to understand which different types of credit cards are available and who can apply for each. An affinity credit card is a type of credit card issued by a bank but connected to a charitable organisation. The logo of the charity organisation will appear on the card. And each time the cardholder uses the card, a percentage of the whole transaction is donated to the organisation it associates with. These credit cards have its target on high school students. It helps students build a banking profile from a young age. The card has lower interest rates, and credit available to spend is also low. It teaches students to manage money and helps prepare them for life. It is important to take note that these cards are also subject to affordability assessments. Reward credit cards are great since they give back to its users. For each purchase made with your credit card, you can earn rewards. You can then redeem these rewards for various items which can include gift cards, cash back, gas, etc. This type of credit card is intended for a business and not individuals. They help keep a company’s expenses on track and do not show up on the cardholder’s personal credit reports but rather those of the business. You should remember however that if the company cannot repay its debts, its owner or owners can liable for it. These credit cards are for marketing strategies. The card is jointly sponsored by a retail merchant as well as a bank. They give banks access to the involved retailer’s customer base. Retailers typically involved include department stores, gas retailers or airlines. The bank networks include Visa, MasterCard, Discovery or American Express. All of the abovementioned types of credit cards can be applied for by South Africa’s top banking institutions such as Absa, Nedbank, Standard Bank, FNB and Capitec. Each bank will have their terms regarding the cards they have available.